On Tuesday, The Guardian newspaper used documents obtained by the Checks & Balances Project to expose coordination between local anti-wind groups and fossil fuel-funded advocacy groups’ attacking clean energy. 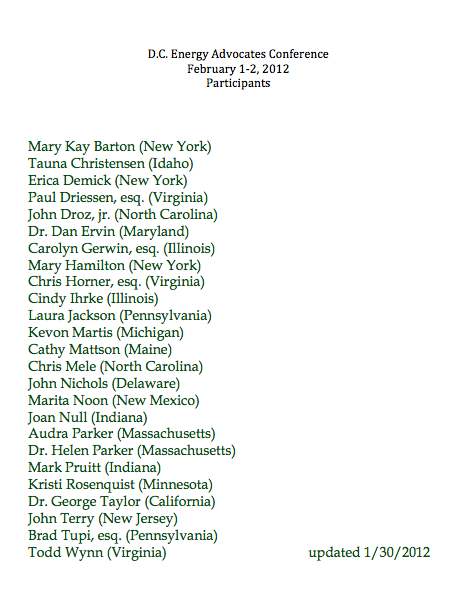 On February 1st and 2nd, at least 2 prominent advocacy groups connected to fossil fuel interests (American Tradition Institute (ATI) and Committee For A Constructive Tomorrow (CFACT)) met in Washington with 32 NIMBY (“Not in my backyard”) organizations to discuss a coordinated “subversion” campaign to wreck wind energy. Click here to read the story and check back here for more updates on this story.